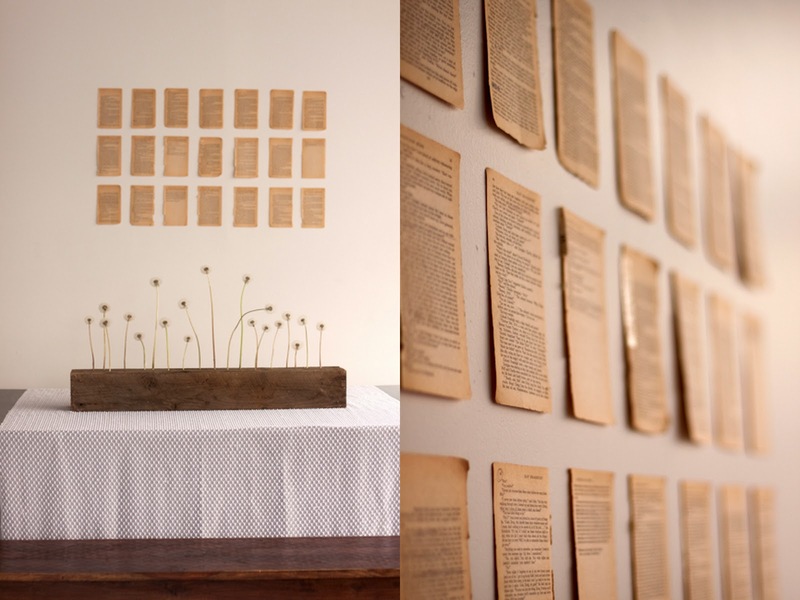 How simple but stunning is this wall of book pages? I love it! It is actually part of wedding decor, showcased on the site The Sweetest Occasion. But I think it would look awesome in anyone's home. You could choose a favorite book or change up the pages seasonally. I think this would look fabulous with the Vintage Botanical Illustrations that I have in the VP store. Hmmm, now my mind is racing - which room could I pin these up in?? Have you spotted a good idea for using old books in home decor or created something yourself? Leave a comment here with a link or contact me. You never know, you could be featured on the Vintage Page Designs blog!